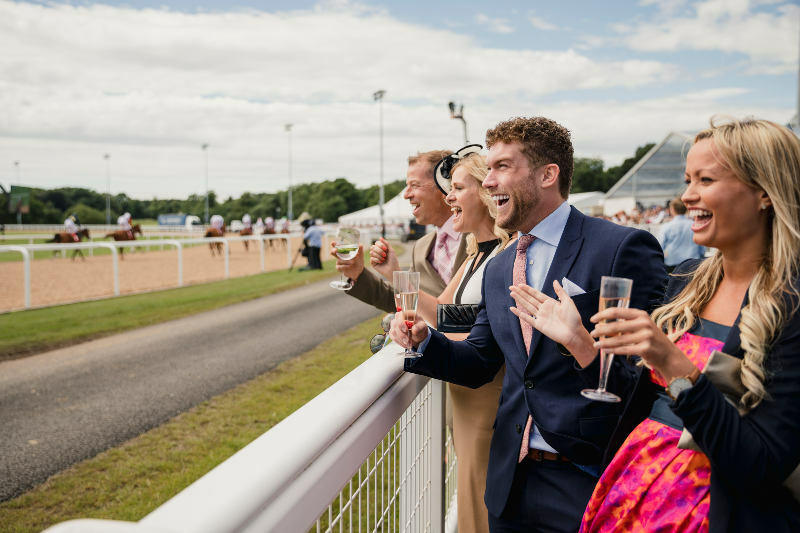 With Luke & his team’s unparalleled knowledge of horse racing, their contacts in the industry and the value they keep winning at, it’s no surprise that they’re not very popular with the bookies. It’s a battle of wits that has lasted a lifetime, and one the bookies wish would stop. I've always had a love of horse racing and anything gambling. I still remember the days when I’d sneak into the bookies as a boy, losing what little money I had and having to walk home disappointed. I was pretty naïve back then. As a kid I’d peer up at the bookies’ boards, see the short-priced favourite and assume it must be correct. The bookie wouldn’t get it wrong or worse, try to mislead punters, would they? What little I knew. But I was learning, even back then. After studying law and maths, I got a job in The City, but I soon realised that corporate life wasn’t for me. I’d be too busy daydreaming about the 2.30 at Towcester during meetings. I love what I do now, but the bookies don’t. Bookies don’t like winners, you see. But unlike the bookies you've got nothing to lose. You can try my tips for 7 days without paying a penny. There are no short cut's - I wish there was! The key players in my team and I are very disciplined when it comes to finding the hidden value in every bet our clients place. A typical day involves getting up at 6am, and then combing through race after race. We have people up and down the country watching horses both in training and in action. I’m constantly going back and forth on the phone with our network of contacts. Some days my eyes and ears are stinging when I get home. But like anything in life, if you want success you have to outsmart and out work everyone else. We do well at South Downs Racing because we understand the amount of work that’s required to find the best value for our clients, and we’re prepared to put in the hours. The moment you cut corners you're done for. Success is never owned, it's rented. And the rent is due every day! Continued success is a massive driving factor and we’re always looking at ways to keep improving. "I've used other racing services in the past and they've been disappointing!" I’m lucky. The team around me are unrivalled in the industry. I doubt you’ve used a service like ours before. We’ve landed some of the UK's biggest gambles time and time again. Identifying bookmaker errors and value is what we do. This, combined with our knowledge and information about each and every race insures we're never on a bookmaker’s Christmas card list. We’re not correct 100% of the time, but neither are the bookmakers! Long-term consistent profit is why we're involved and why you should be interested in our services. My team and key decision makers have over 120 years’ combined experience in beating the bookmakers. For years we’ve employed cutting-edge software used to generate 'form figures' that are second-to-none and back up the insights that we work with. These 'cold technologies' take all the emotion out of the selection process & enable us to understand races and our own tips at an even deeper level. We deal with facts, hard evidence and trusted sources. We don't bet based on emotions. We prefer to leave that for while we’re watching the race. And we certainly never chase or look for something that isn't there, unlike some. We understand that talk is cheap sometimes. That’s why we think the best way to experience the true value we’re offering is by putting us to the test with our free trial. Remember, all of our recent wins are published on our results page which is updated daily. We know that we have to keep producing results or you’ll leave after your seven day free trial - and rightly so! We will give it to you straight and we don't mess clients around. Above all else we know how to pick a winner. We have a very strong reputation and intend to keep it that way. Join us for the next winner and celebrate with us. You’re welcome to put us to the test with a 7 day risk-free guest membership.